Unlimited Internet Packages Starting as Low as $40! Are you looking for truly unlimited high-speed Internet at an affordable price? Ride the wave and save with Eyesurf! Fill out the form to make the switch today! A team member will review your application and call you to schedule an activation date (upon eligibility). Add unlimited phone service for only $10/month! Why Choose Eyesurf High-Speed Internet? Are you tired of download caps and additional bandwidth fees on your monthly bill? With Eyesurf’s unlimited high-speed Internet, you can enjoy lightning fast speeds and truly unlimited downloading without worrying about extra costs and charges. Whether you’re checking your e-mail, uploading or downloading photos, or the whole family is streaming their favourite shows at once, we have a package that will meet your requirements. Still need convincing? We provide you with the best service, and the most reliable high-speed Internet with no contracts or hidden fees—you’ll have full control over your own Internet experience! Why settle when you can have exceptional home Internet service at an unbeatable price? At Eyesurf, we believe in providing reliable high-speed Internet at affordable prices. We know that our customers want a high-quality Internet connection at the very best price, which is why we offer a range of options to suit the needs and budgets of all of our clients. Our mandate as one of the top Internet providers in Ontario is to deliver reliable access to unlimited Internet province-wide, without the inflated price tag that normally comes along with it. We pride ourselves on remaining transparent, and above all reliable, when it comes to the services that we offer, and our dedication to customer service reflects this. Unlimited Internet in Ontario has never been so easy!  Right now, Eyesurf is offering FREE activation with the purchase of our unlimited Internet plans or bundles. Don’t wait, start saving today! Before Eyesurf,I was paying over $100/month for just Internet and home Phone service. Switching to Eyesurf cut my bill in half.ThANK YOU gUYS! When I first heard about Eyesurfs $50 Internet and phone bundle, I was suspicious and thought it was too good to be true.I had to try it. Im telling you now,they are the real deal! My bill is literally $50 taxes and tats it! Ive been using Eyesurf for my home and business for over 3 years now and have no absolutely no complaints. saved over $600 this year alone.Been recommending you guys all the time.Keep up the great work! At Eyesurf, client trust is a priority, and we want all of our customers to know that they can rely on our services. Our business is accredited by the Better Business Bureau (BBB), and has received an A+ rating. In addition, all transactions conducted with Eyesurf, including on the Eyesurf website, are guaranteed to be 100% secure. make the switch to Eyesurf Today!